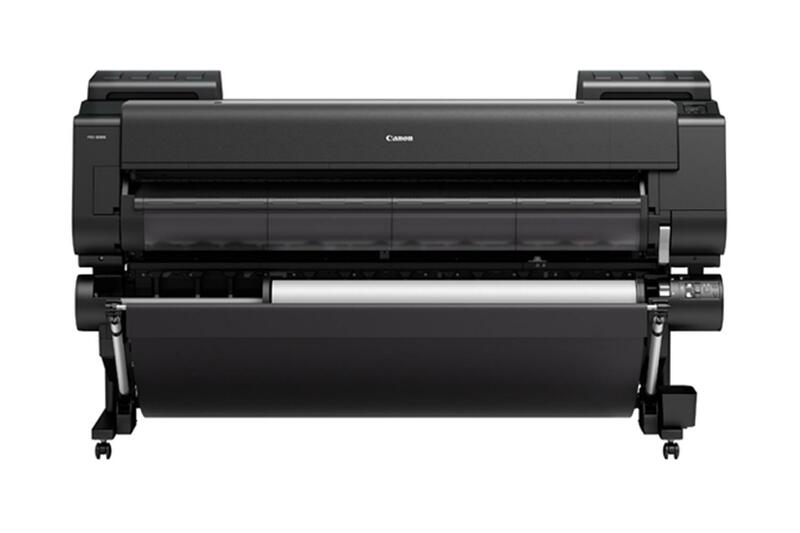 Henrys.com : CANON IPF PRO-6000S PRINTER 60"
Designed for the poster and signage market and exceeds expectations for speed and colour consistency. The LUCIA PRO ink set adopts newly formulated 8-colour pigment inks. These inks help you achieve fantastic colour reproduction, image clarity, and fine lines ideal for creating vivid posters and advertising displays. This new ink set helps: enhance red colour performance, reduce graininess, enhance dark area reproduction. PDF and JPEG files can be directly printed on the imagePROGRAF PRO-6000S from a USB thumb drive. Simply input the thumb drive into the USB port on the printer, preview the image on the operation panel, and print! Fast and easy printing without the use of a computer. In today's printing environment, it is more important than ever to understand how much ink and media each print job is costing your business. Both Mac and Microsoft compatible, Accounting Manager serves as a powerful feature, used for accurately managing your print costs. With the Accounting Manager feature you can track how much ink and paper is being consumed when printing in large format of up to 50 printers! Each individual ink tank can have its own cost associated to it, as well as a variety of different paper types. Costs can be assigned to ink and paper to determine expenses based on your own "Cost of Goods". The user can also input a variable cost that will be added to the total of the print cost. The data is exportable to a .csv format for Microsoft Excel so the data can be used for billing purposes. This feature will allow you to determine the cost of each print based on your actual cost. Features include: job Cost (ink, Media and variable cost inputted by user) ink consumed per job,* media consumed per job, job completion time and more.